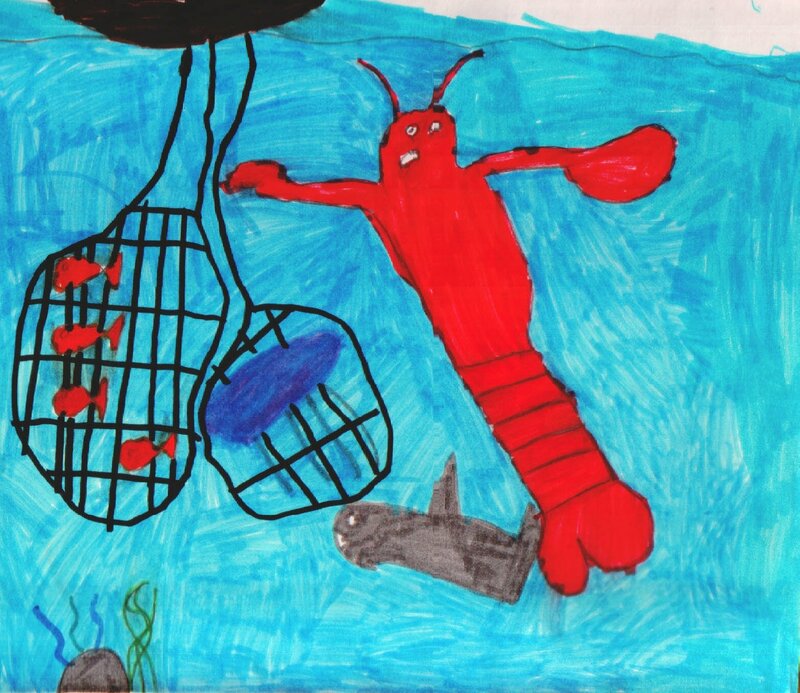 I like how you’ve drawn a giant lobster to look like a cartoon superhero. Is he about to set the goldfish and the purple jellyfish free? Is the gray shark his side-kick, like Robin is to Batman?